Keerthi is an Insights and Strategy Manager with 5+ years experience across Asia translating insights to action for the business across Brands and retail customers. Prior to LEGO she was the Regional Manager for Consumer and market insights at Procter & Gamble. 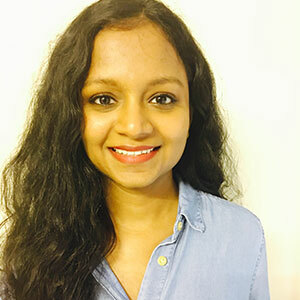 Having worked for well-known brands such as Gillette, Oral-B, Whisper and Pantene, Keerthi is a specialist in Business Development, Brand Building & Product Innovation leveraging Consumer, Market and Digital insights, optimizing spends, driving Channel prioritization, Cross category synergy driving ROI growth and marking room for innovation. She is passionate about Digital marketing & research and has focused works in this field.